Ms Tezcan completed her ultrasound training in Fetal Medicine under supervision of Professor Kypros Nicolaides at Kings College Hospital, London. She has been working in the NHS as a Senior Obstetrician and Gynaecologist with Specialist interest in Fetal Medicine since 2005. She is a Member of the Royal College of Obstetricians and Gynaecologists. She also holds formal positions in the Royal College of Obstetricians and Gynaecologists. Dr Tezcan completed an MSc degree with distinction in Prenatal Genetics and Fetal Medicine at UCL (University College London) in 2008. 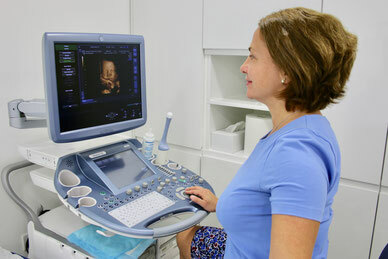 All your scans are performed by Ms Tezcan, maternal-fetal medicine specialist with 15 years’ extensive experience and also she is certified with the Fetal Medicine Foundation to perform ultrasound examinations.